1 Incredible | This Blog Rules | Why go elsewhere? The days of circus freak show acts are long gone, which is no bad thing really. However, it is very interesting to look back at some of the incredible old-time circus acts that once took people’s breath away and made them recoil in horror in the past. 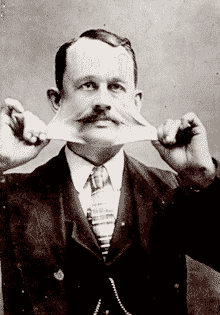 This guy was known as the India Rubber Man or the Elastic Skin Wonder due to the fact that he could pull his skin and stretch it so far out. He was said to be able to pull the skin from his neck over his ears, which is a pretty cool thing to be able to do when you think about it. He joined the Barnum circus and earned a living from this bizarre ability. As with most of the famous circus freak shows acts from the past, there is a sensible scientific explanation for it. In this case, Morris has something known as Ehlers-Danlos syndrome. This woman became a widow at the start of the First World War and took on a farm labouring job near London while disguised as a man. To be fair, it probably didn’t take that much of a disguise going by this photo. She was talked into entering a beauty contest and, perhaps unsurprisingly, didn’t win. 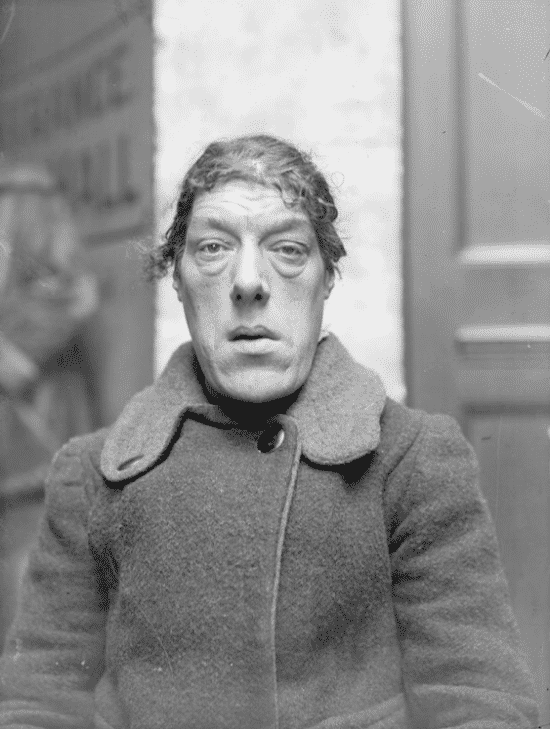 However, her lack of beauty led to her being offered the chance to join travelling fairs, billed as the Ugliest Woman in London. Her fame then grew and she travelled all over the world in shows. She seems to have been happy enough, calling her ugliness “a blessing”. It’s pretty clear why this lady became famous. Doctors in the 19th century called her a “dipygus dibrachius tetrapus” and even a “monster by fusion”. However, to put it in simpler terms, she had 4 legs. 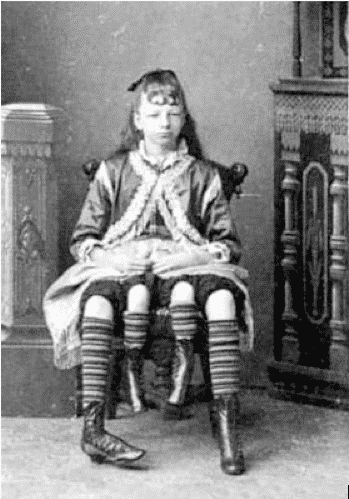 She could move the two inner legs but they were said to be unsuitable for walking on, as they were too weak. At 13 years of age she joined circus shows as the Four Legged girl from Texas. In later life her condition didn’t stop her from having children of her own. 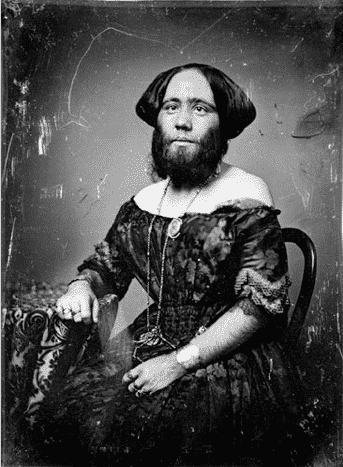 The bearded lady is one of the classic circus show freak acts and Madame Clofullia (born in Switzerland as Josephine Boisdechêne) was one of the most famous. By the time she was 8 she had a 2 inch beard and before long she was touring Europe to show off her unusual looks. She was given a giant diamond by Napoleon III and then went on to tour in the US with Barnum. She ended up in court; accused of being a man in disguise but it was proven that she really was a woman. At one point her beard measured 6 inches. At first sight Ella Harper might not look like she has much to offer a circus but just look at those legs. 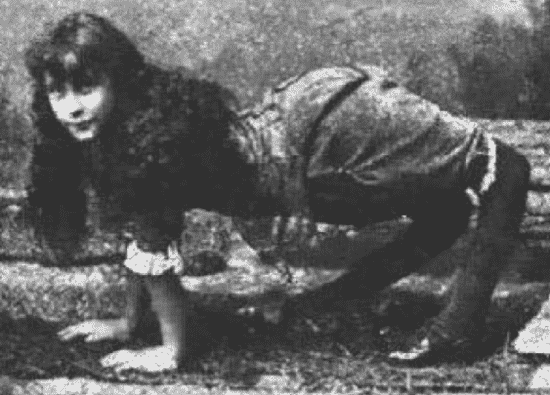 The bizarre ability that she had was that of being able to bend her knees forwards and walk around on all fours like. She became the Camel Girl for a few years before seemingly giving up the freak show circuit to go to school. The medical term for her condition is now known as congenital genu recurvatum.